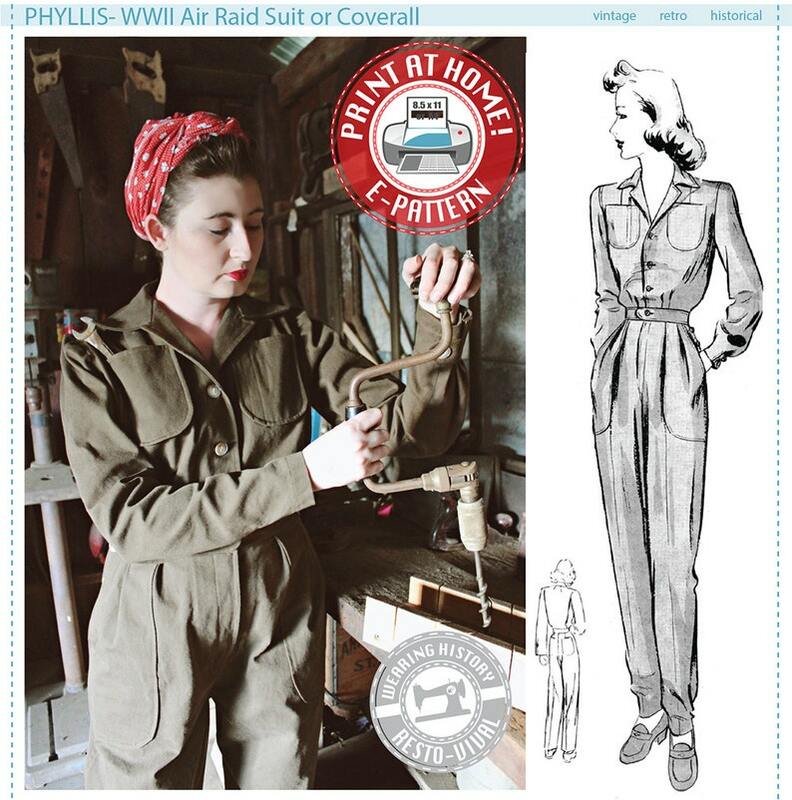 Named after my grandmother’s cousin who was a factory war worker during WWII, the Phyllis Air Raid Suit is a Wearing History Resto-vival pattern based on a rare original extant pattern from the 1940’s. Includes size 30″ bust through 42″ bust, all in the same packet. 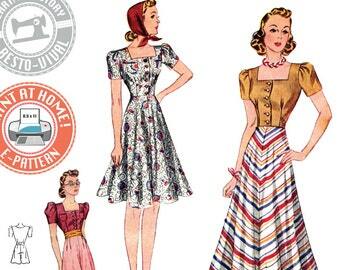 Although this may not seem difficult at first glance, this pattern is very challenging, even for experienced sewists. It uses a lot of menswear techniques like flat felled seams and button plackets. It also has buttons up both sides of the pants, a hidden button placket at back (drop seat! ), and buttons up the front. Although we think this is a necessary pattern for re-enacting and enthusiast’s needs, please be forewarned that it is extremely challenging and time costuming. Don’t expect to make it a few days before an event. I will be adding photo tutorials to my blog to help with the challenging parts of construction. 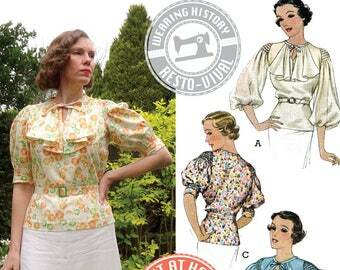 This pattern is in MISSES SIZING. Juniors, Petites, and Plus Sizes may require alterations. 67 total sheets of 8.5" x 11" sized paper or A4 sized paper are needed for this pattern. -1 for the e-pattern "how to print and use" sheet. I'm so happy this was available! I haven't made it yet, but I'm very happy with the quality of the instructions and pattern pdf file.